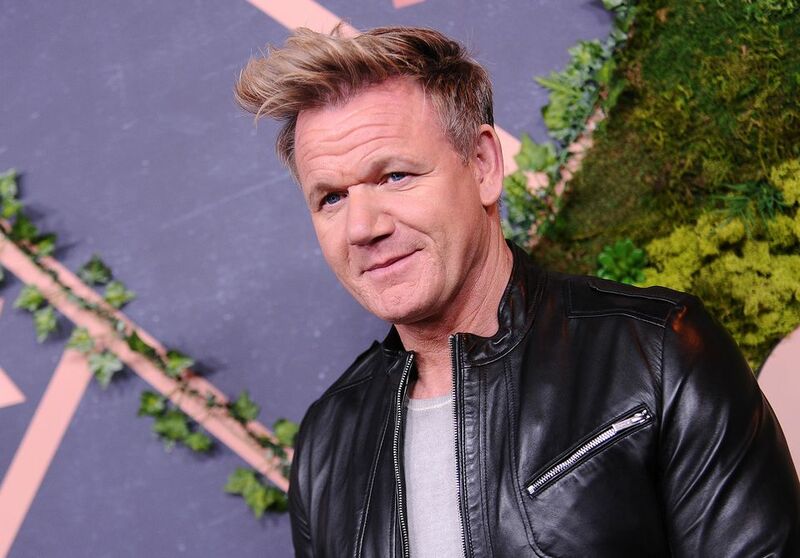 Gordon Ramsay, chef, and restaurateur, is known for several cooking-themed TV shows including "Kitchen Nightmares," "Hell's Kitchen," The F Word," and " "Masterchef Jr.," "Hotel Hell" as well as UK shows: Gordon Behind Bars, Ultimate Cookery Course, Gordon's Great Escapes and Gordon Ramsay: Shark Bait." He has been called a lot of things in his life. “Nice guy” probably isn’t one of them. Chef Ramsay is more known for his temper and scathing outbursts in the kitchen than anything else. However, despite his unconventional management style, he may be one of the best known and successful chefs in the world. Born in 1966 in Scotland, Ramsay aspired to a life-long career as a professional footballer. He was, in fact, a very good soccer player and joined the Glasgow Rangers (Pro) at the age of 15. He played with the Rangers from 1982 until 1985 when a knee injury ended his career. After a disappointing end to his soccer career, Ramsay turned to hotel management school. After graduating, he apprenticed with Marco Pierre White at Harvey’s in London. Two years later, he joined Albert Roux at Le Gavroche. He also worked for three years in France with master chefs Jöel Robuchon and Guy Savoy. In 1993 Ramsay took the reins of the newly opened Aubergine. Within three years, he had earned two Michelin stars. After a breakup with the restaurant’s backers, Ramsay left Aubergine, taking his staff with him. In 1998, Chef Ramsay opened his first wholly owned restaurant, Gordon Ramsay’s, at the age of 32. The London restaurant was quickly recognized as one of the best in the world and was awarded three stars by Michelin. Gordon Ramsay has opened other critically acclaimed restaurants since then, including Gordon Ramsay at Claridge’s and Boxwood Café. Ramsay has ambitions of opening several more restaurants including one in America. Chef Ramsay’s ferocious temper and foul language have made him a favorite of TV producers both here in America and in the UK. A delightful BBC program was Ramsay’s "Kitchen Nightmares." The premise of the show takes Chef Ramsay around England visiting some of the worse run restaurants in the country and then spends the next two weeks trying to make them successful. Ramsay’s notoriety grew enormously with the release of "Hell’s Kitchen." First airing in the UK, Ramsay has two weeks to turn British celebrities into professional chefs. The American version soon followed with a variety of candidates competing to win their own restaurant. Both versions highlight Ramsay’s quick temper, demeaning rants, and his obsession with perfection. Entertaining to be sure, but probably not an accurate portrayal of how he runs his own kitchens. If treated as cruelly, his own staff would probably have abandoned him long ago. Ready to get cooking like this celebrity chef? Try Ramsay's spicy vegetable and paneer wraps, Yorkshire puddings, or mixed vegetable undhiyo.